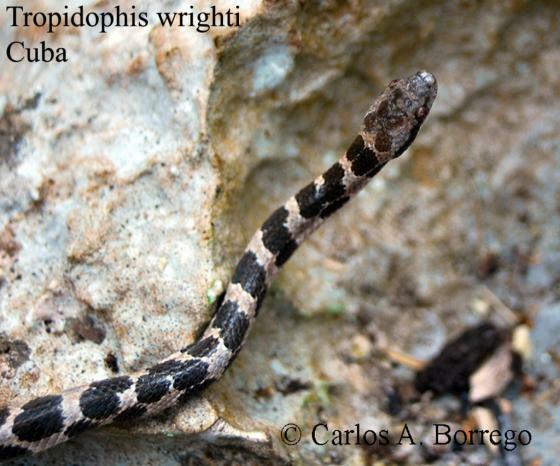 Can you confirm these amateur observations of Tropidophis wrighti? Comment For illustrations see Cooper, 1958; Schwartz and Henderson, 1985. Bailey, J. R. 1937. A review of some recent Tropidophis material. Proc. New England Zool. Club 16: 41-52.
Cooper, J.E. 1958. Ascent to Cueva del Aura. Maryland Nat. 28(1-4):2-16. Stull, O.G. 1928. 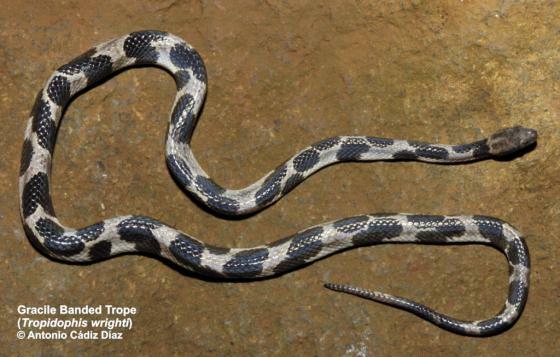 A revision of the genus Tropidophis. Occas. Pap. Mus. Zool. Univ. Michigan 195: 1-49.